Many people who opt for filing bankruptcy to get a handle on their financial lives do so under the assumption that once they do, all their fiscal woes will be resolved. And while there are many things that bankruptcy can do, there are several that filing for bankruptcy can’t do for your finances. 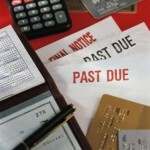 Understanding the limitations of bankruptcy can help you make the best decision for you and your family. Bankruptcy cannot eliminate court-ordered monetary payments. Often called restitution, this includes fines and penalties for violating a law, debts for personal injury (such as in the case of intoxicated driving) or fines from traffic tickets. Bankruptcy can’t discharge your car payment. If you have what is known as a secured debt, such as a car payment, bankruptcy cannot eliminate a lien – which means that you can get rid of the debt on that piece of property, but the creditor may still repossess it. Bankruptcy will not get rid of your student loans. Except in rare cases, bankruptcy doesn’t get rid of student loans. You have to be able to prove that paying them would cause you “undue hardship,” which in most cases is very difficult to do. Bankruptcy does not discharge alimony or child support payments. You will continue to have to make these types of payments, even after you file bankruptcy. And depending on the type of bankruptcy you file, you’ll be required to provide a specific plan on the repayment on this type of debt. For more information about the options available to you through bankruptcy, call the law offices of George R. Belche today. We can schedule your free initial consultation and put you back on the road to financial security.